The Cleveland Cavaliers fell out of first place in the conference for the first time since early-November, after a blowout loss to the Spurs in San Antonio. It’s been an ugly stretch for the Cavs, particularly on the defensive end, but as everyone knows, LeBron James is a different player once the playoffs start. His ability to shift up to higher gears as the season ends and his teams go deeper into the postseason is part of why he has appeared in six-straight NBA Finals. Falling out of the top seed in the Eastern Conference may not seem like a big deal. Two years ago, the Cavs were the two-seed in the East, lost Kevin Love, played without J.R. Smith for two games in the conference semifinals and had Kyrie Irving well-below 100 percent for the Eastern Conference Finals. They swept the number one seeded Hawks. Last year, Cleveland edged out Toronto for the one seed and only needed 14 games to breeze through the East. Could the Cavs win the East as the two seed this year? Of course they could. But the domino effect of how the standings line up with Cleveland as a two seed does not make the path to retaining the Larry O’Brien Trophy any easier. This isn’t the Eastern Conference of 2015. Would anyone say last year’s Toronto Raptors matched up better with the Cavs than the Celtics and Wizards do now? For starters, Cleveland’s first round matchup could be more difficult than originally anticipated. Miami has been playing some of the best basketball of any team since January. Although the Heat currently sit in the eighth seed, if Miami’s trajectory continues, they’ll jump up two games to pass the up-and-down Pacers. Even if Miami moves up to six, the Milwaukee Bucks could slide to seventh, which would present an interesting series from a matchup standpoint, with a young, athletic team that would likely put up more of a fight than teams like Indiana or Detroit. Grabbing the one seed gives the Cavs the best chance at a sweep in the first round, which means more rest and a fresher Big Three heading into the second round. Take your pick: Would you rather the Cavs face the Toronto Raptors with Kyle Lowry’s health in question? Or John Wall and Bradley Beal? Washington will likely finish the season as the third seed. As it stands, the Raptors would be the favorite to take on the number one seed in the second round. Although Toronto took Cleveland six games last year in the conference finals, not many would argue the Raptors have a better chance of giving the Cavs a real test in the second round than Washington does. The difference between the one and two seed could be the difference in playing three or four extra games in the first two rounds. Last year, it took the Cavs eight games to get to the conference finals. 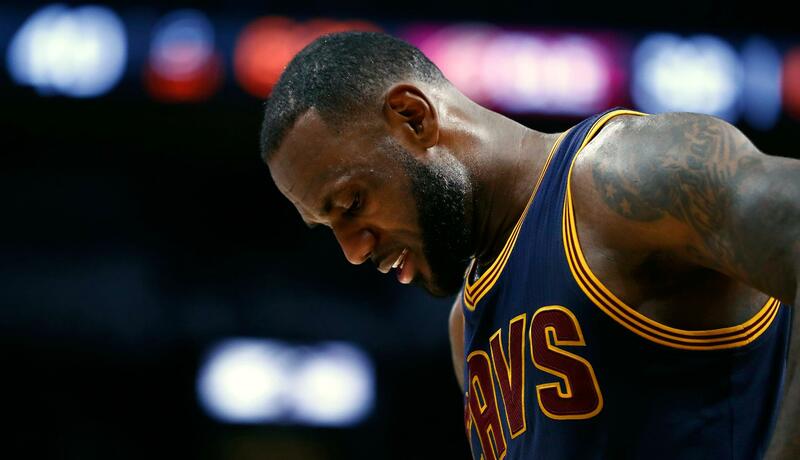 There was so much time for the Cavs to rest, fans didn’t know what to do with themselves for the week-long layoff. It’s possible those breaks between rounds led to LeBron’s insane three-game stretch in the Finals, while Golden State’s chase for 73 wins caught up to them. As of March 28, it doesn’t look like the Cavs are going to get a ton of rest in the final week of the regular season. Barring a Boston slump, the Cavs have put themselves in a position to expend more energy than would have otherwise been needed if they took care of business in January and March. That being said, sure the Cavs can get to the Finals as the two seed. They’d still be the favorite. But how much will be left in the tank in June? J.R. Smith and Kevin Love spent significant chunks of time on the sidelines this season. Kyle Korver is dealing with a nagging foot injury that won’t go away. Playing more games (whether in the regular season or first two rounds of the playoffs) doesn’t seem like the ideal way to go about a championship run. LeBron James and Kyrie Irving have been taxed more this season than they were in 2015-16, because of those injuries to their teammates. Although it’d be foolish to write LeBron and Kyrie off, and they earned the benefit of the doubt coming back from 3-1 in the Finals, common sense would indicate all these minutes are going to catch up to LeBron at some point. Will this be the year? Will Golden State or San Antonio have more energy this time around? Some would scoff at the idea of the regular season having any significance whatsoever, but why should the Cavs make the road harder on themselves than it needs to be? LeBron had a quote about that last year after the Finals… It seems to be a self-fulfilling prophecy, given the lack of effort his team plays with at certain points of the regular season and the approach of procrastinating until their backs are against the wall. We keep hearing about flipping a switch and going into playoff mode. The playoffs will be here in the blink of an eye. The Cavs might want to wake up before they start.